I’m sure we can all agree on the importance of clean bedding. But when we sleep, our linen can get stained when body oils, perspiration and hair products are absorbed into the fabric. Have you heard about ‘Soap Nuts’? They are the seed pods of the Sapinuaus mukorossi plant which are found in the Himalayas & have been used for centuries in India, China & Nepal. The seed pods are cracked open; their shells contain a very high percentage of saponin (a natural soap). This natural soap removes dirt & oils from clothing when it comes in contact with water. 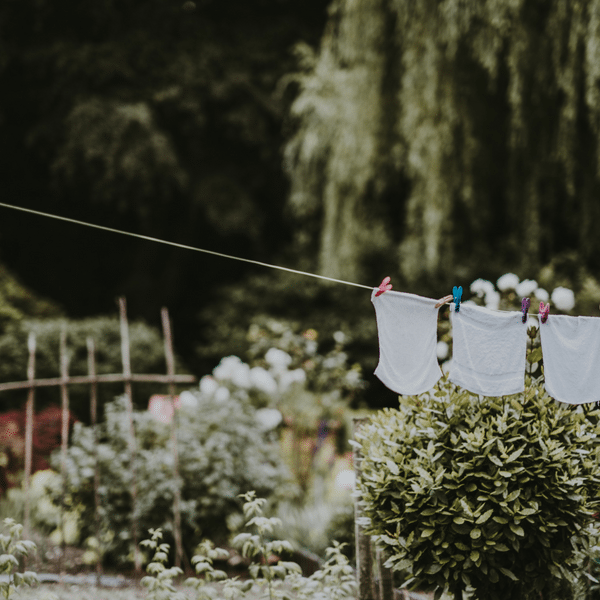 They are most commonly used in the washing machine as a replacement for detergent & fabric softener & will leave your bedding/clothes clean, soft & scent free. The pods can also be boiled into a liquid concentrate which then can be used as a personal cleanser, shampoo, general purpose cleaner & car wash just to name a few! Have you tried different things to keep your white sheets white, even bleach? Some bleaching agents aren’t so kind to the environment or your health. Ecostore’s Laundry Stain Remover can be a safer alternative. They avoid the use of optical or artificial whiteners, which reflect UV light to give the illusion of whiter whites. Optical brighteners have also been associated with allergic reactions and skin irritation, and they can accumulate in aquatic life once they enter waterways. If you love all natural care products then you’ll love our handcrafted Laundry soap bars. They are non-toxic, allergen-free & fully biodegradable. The ultra-sensitive formulation is perfect for delicate fabrics and those with sensitive skin as well as tougher jobs like heavily stained work clothes, sports gear, and nappies. These laundry bars are ideal for hand washing. They are also aeroplane friendly. Use the food processor to grate castile soap. Use a large bowl and stir well all ingredients. Store in airtight container. Use 1/4 cup of this powder each load. Mix ingredients thoroughly. Store in airtight container. Add 1-2 Tbs. of detergent to each load. To create a natural and healthy sleep environment we recommend choosing bamboo sheets that are made from organic bamboo, as many potentially harmful chemicals can be used on the growth of cotton and in the processing of conventional cotton fabrics, including pesticides, chlorine bleaches, heavy metals, dyes and volatile organic compounds.